People with gout may experience burning, itching or tingling feeling in the joint before experiencing a gout attack. Other times, you might not experience any signs until you wake up in the middle of the night with a painful joint. The most common place for gout attack is the base of the big toe but it can also happen in other joints such as the elbow, wrist, knee or ankle. Relieve your symptoms with the power of nature and turn to herbal remedies for help. Gout develops after a buildup of uric acid. Sudden and intense pain (gout attacks) can make you feel like your foot is on fire. Gout is a complex disease and if left untreated gout can cause tophi to form near your inflamed joints. This can lead to arthritis where your joint is permanently inflamed and swollen. Inspired by nature, HillVital uses herbs and natural extracts such as aloe vera which helps relieve pain and swelling, arnica to reduce inflammation and both eucalyptus and thyme, which have antiseptic properties. 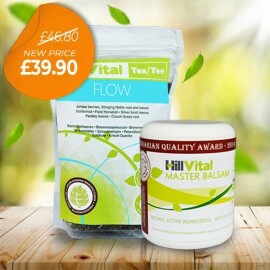 We have combined the most potent herbs to bring you relief from gout and start healing processes and regeneration. Master Balsam is ideal for treating gout as it is absorbed deeply into the skin and acts instantly. 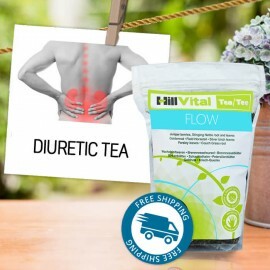 It is made up of 12 potent herbal extracts, that can bring relief from pain, swelling and inflammation. A topical balsam, Master, contains a mixture of 12 herbal extracts that form a powerful anti-inflammatory and antibacterial formula to help relieve inflammation and swelling, to improve overall mobility, and stimulate regeneration. Free from artificial colours, perfumes, parabens or petroleum, Master balsam is fast-absorbing, non-greasy and has a pleasant natural aroma. 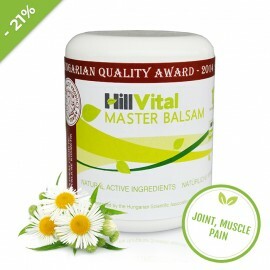 Master balsam can help you tackle joint, muscle or back pain the natural way, providing relief from swelling and inflammation. The topical cream works by soothing aching joints and relieving muscles, as well as stimulating regeneration. For complex joint and muscle revitalization, grab our vitamin cure Vitago and support and regenerate your muscles, joints and tendons. 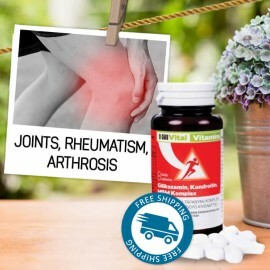 Dietary supplement for gout, rheumatism or arthritis, Glucosamine, MSM, Chondroitine can therapeutically provide internal support for achy joints, muscles and tendons. Unique vitamin packet helps revitalize and restore joint and muscle activity.